License: This material is released under the Creative Commons Attribution 3.0. The Kepler System model simulates Kepler's final theory of planetary motion. In this theory the planets orbit in ellipses with Sun at one focus (Kepler's First law). These elliptical orbits are not necessarily all in the same plane. A line from Sun to the planet sweeps out equal areas in equal times (Kepler's Second law). The square a planet's period is directly proportional to the cube of the semimajor axis of its elliptical orbit (Kepler's Third law). The simulation shows Earth's orbit around Sun, as well as the orbit of one other planet. 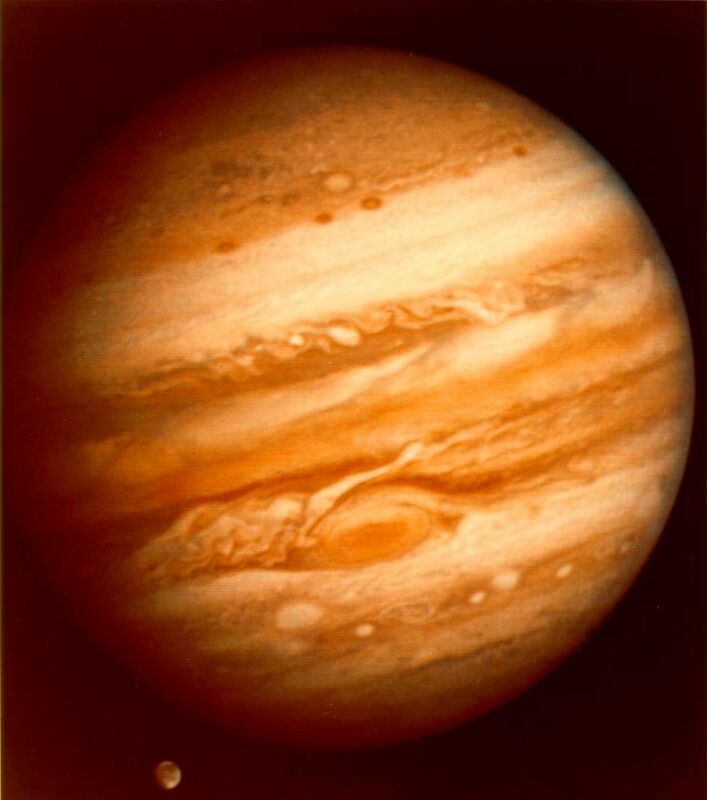 The user can choose to show one of the five visible planets (Mercury, Venus, Mars, Jupiter, or Saturn), or a fictitious planet. The top window shows the orbits of the planets around Sun. The view can be changed by clicking and dragging in the window and a zoom slider is provided to zoom in or out. The bottom window shows the view of Sun and planet against the background stars as seen from Earth. i will be remix this into applet for the inquiry based learning of F=GMm/r^2 and T^2 proportional to r^3 based on data. We are looking at student develop F=GMm/r^2 and T^2 proportional to r^3 based on data and hence the latter can be derived from the former. I do know one method where students can use a generic approach to find the relationship between 2 variables (see attached). I guess an applet where students develop F=GMm/r^2 is useful. 2 added r the instantaneous distance of planet center to Sun center to allow students to determine the mean distance. 4 made the radiobuttons planet no deselect = "true" so that the radiobutton looks selected even if you select it twice. 10 fixed the bug in evolution page to 2*Math.PI*(1+e*Math.cos(phi))*(1+e*Math.cos(phi))/Math.pow(a*(1-e*e),1.5) so that time is correct is years. http://nssdc.gsfc.nasa.gov/thumbnail/planetary/venus/venusglobe.gif Hemispheric view of Venus produced by Magellan, courtesy of Nasa. http://nssdc.gsfc.nasa.gov/image/planetary/earth/apollo17_earth.jpg View of Africa and Saudi Arabia from Apollo 17. 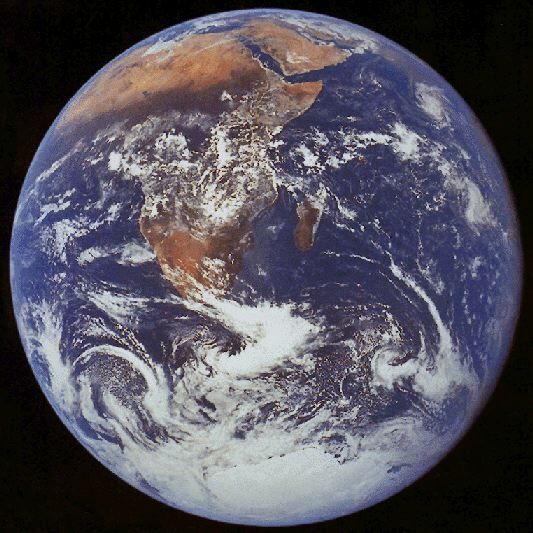 Probably the most requested picture of the Earth, this picture was taken by the Apollo 17 astronauts as they left earth orbit en route to the Moon. Taken on Dec. 7, 1972, it was the first time that the trajectory of an Apollo mission enabled a view of the south pole. courtesy of Nasa. 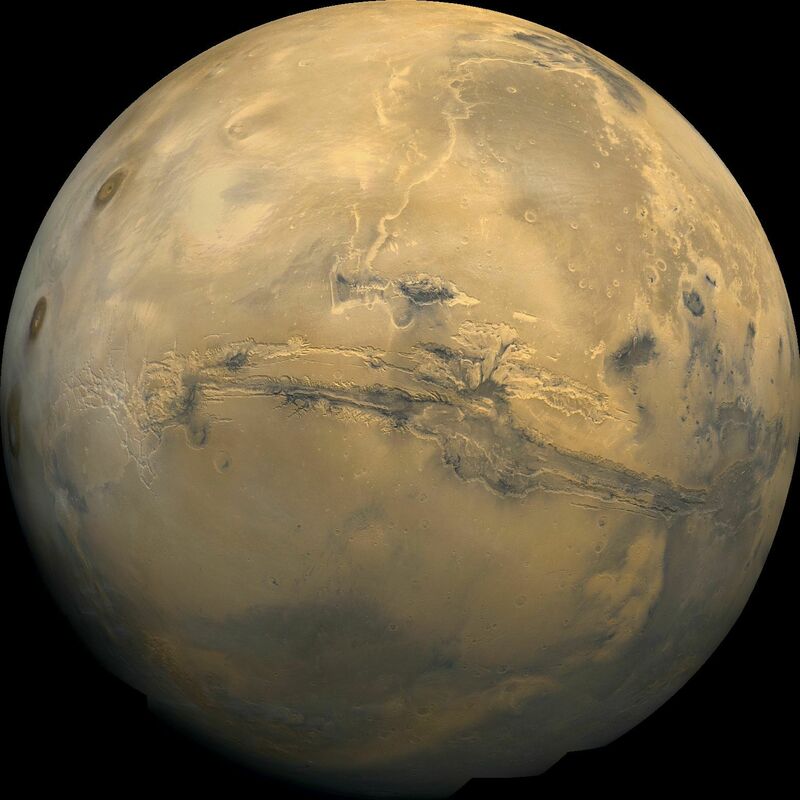 http://nssdc.gsfc.nasa.gov/image/planetary/mars/marsglobe1.jpg Global mosaic of Mars. Visible in the center of this mosaic is the largest known chasm in the solar system, Valles Marineris. Reproduced from Volume 14 of the Mars Digital Image Model (MDIM) CD-ROM set. courtesy of Nasa. http://nssdc.gsfc.nasa.gov/image/planetary/jupiter/jupiter_gany.jpg Three-color filter image of Jupiter and Ganymede. courtesy of Nasa. 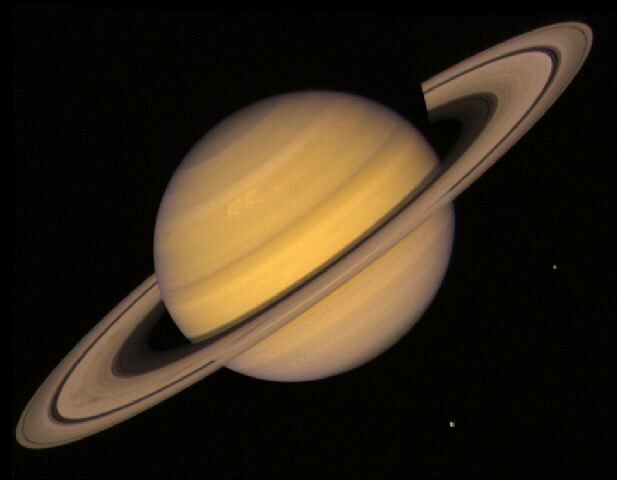 http://nssdc.gsfc.nasa.gov/image/planetary/saturn/saturn.jpg Full-color view of Saturn and its rings. courtesy of Nasa. http://nssdc.gsfc.nasa.gov/thumbnail/planetary/uranus/uranus_true_and_false.gif True- and false-color images of Uranus.courtesy of Nasa. 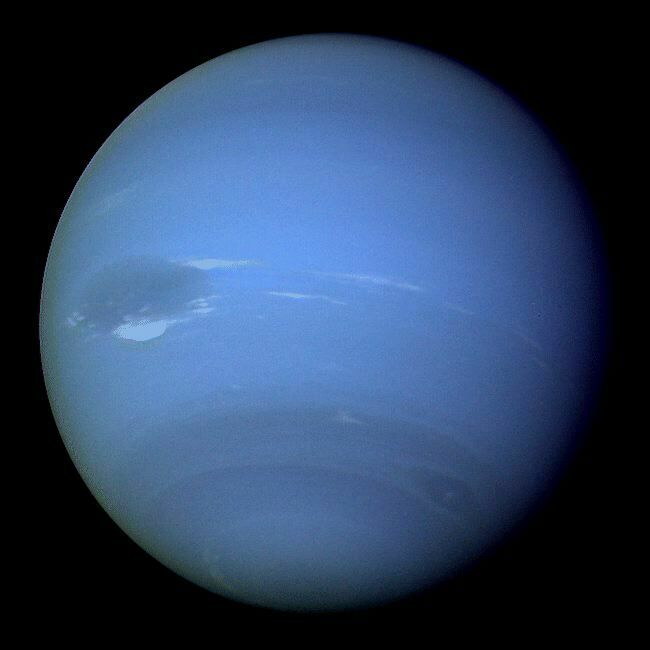 http://nssdc.gsfc.nasa.gov/image/planetary/neptune/neptune.jpg Color image of Neptune showing its "Great Dark Spot". courtesy of Nasa. 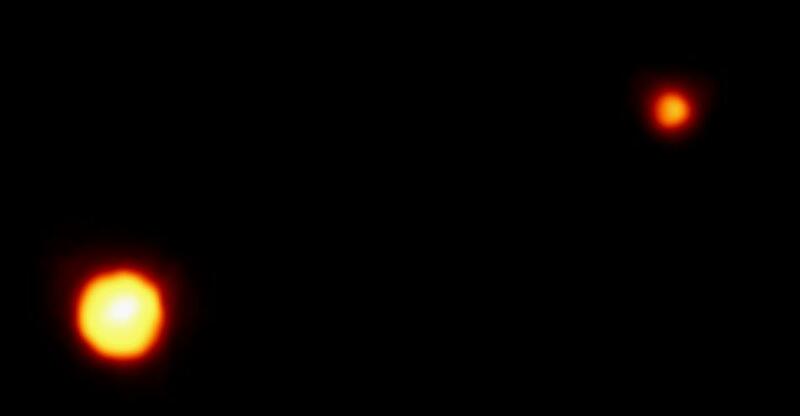 Pluto and its satellite Charon as taken with ESA's Faint Object Camera on HST. courtesy of Nasa. Like: a lot! that is a lot to learn more. suggestion from teacher using this simulation. 1) can we have a button for students to reset the duration of orbit, t? So that they can reset t easily for the different planets. 2) under the display option, can we have an option for 'Planet-Sun line'? So that they can 'see' the radius of orbit for planet. 3) the model shows that planets Mercury, Saturn and Pluto do not have circular orbit around the Sun (centre of circle does not seem to be at centre of Sun). Is this accurate? real orbits are not circular and one of the focus is the Sun. the quick answer is it is accurate simulation. I. The orbits of the planets are ellipses, with the Sun at one focus of the ellipse. Kepler's First Law is illustrated in the image shown above. The Sun is not at the center of the ellipse, but is instead at one focus (generally there is nothing at the other focus of the ellipse). The planet then follows the ellipse in its orbit, which means that the Earth-Sun distance is constantly changing as the planet goes around its orbit. For purpose of illustration we have shown the orbit as rather eccentric; remember that the actual orbits are much less eccentric than this. btw, if the orbits are ellipses, is the radius of orbit an average value? yes, it is always changes, it is observable in the simulation as well. If not, do you know how is this radius value derived for an elliptical shape? III. The ratio of the squares of the revolutionary periods for two planets is equal to the ratio of the cubes of their semi-major axes. In our syllabus, it is a slightly inaccurate as we assume all orbits to be circular thus our teaching of Kepler's 3rd Law is adapted to circular motion. hard copy or soft copy ? soft advantage is teacher no need to key in. I am ok with hard or soft, up to u.
but the worksheet can I look at it.? 3 final year exam result on just the Gravitational questions as well as the whole exam scores. to prepare for the journal paper and sharing the Research Question are. 1 Did the simulation on gravitation improve student performance in gravitational assessment in test, exams. 3 To what extent Did this lesson promoted self directed and collaborative learning? But to know the effectiveness on assessment scores, don't you need to know their pre test scores or something to that effect? it is too painful to collect so much useless data. maybe position as inspire students to love physics? do we think higher scores is meaningful? if not, how can we conclude that the scores are better or worse than they are expected to get, in the absence of ICT intervention? I have attached the question on Kepler model. It is actually part of the tutorial questions, so that students see the integration of ICT in learning rather than as a supplementary exercise.. Feel free to comment.